Moving to a new home can be exciting, but the thought of moving an entire house full of furniture and belongings is daunting for many people. The very idea of relocation can be intimidating. Whether this is your first move or one of many, you need a mover who you can trust. 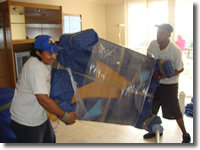 You have to be sure that you choose a mover who will move most prized possessions and furniture as if they were his own. We understand that planning a move for you or your family can be an arduous task. You have enough to do and think about. We can help relieve the stress by offering top-quality service, attention to detail and careful planning to make sure your belongings – and your life – are safely relocated from your old home to your new one. 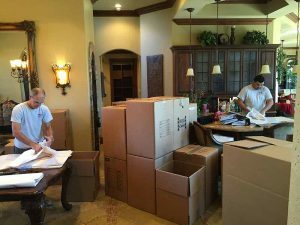 When we move your household, we provide all the necessary boxes, crates, pads, tools, trucks, and manpower to make sure everything arrives at its new location undamaged, just the way it was when it left. We will dismantle items that are too large to move as one piece and then reassemble it in your new home. You can rest assured that our team of well-trained movers will take every precaution to ensure that your valuables will be protected and treated with care. Don’t trust your move to just anyone. There are lots of people who say they can move your possessions. We Move on Demand will guarantee your satisfaction and give you peace of mind in knowing we will care for your belonging from wrapping the first dish to unpacking the last box or crates. Our state of the art GPS system allows us to track possessions at all times.